CM Magazine: Treasures to Find. Charlottetown, PEI: Acorn Press, 2011. 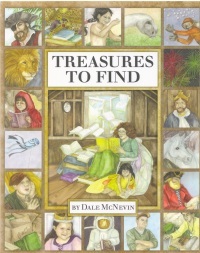 Treasures to Find is a story about the wonders that are offered to children when they open a book. There are so many different possibilities and adventures that can be experienced once they begin to read. They will discover they can read for pleasure, about fairies, pirates or wizards. They will also realize that reading books will help them learn about new things that will answer the question "why". or a lion, proud and strong. The full page illustrations, done by the author, are beautiful, colorfully detailed, and encompass the meaning of the text on each page. The pictures are very realistic and "lifelike" � not cartoonish at all. 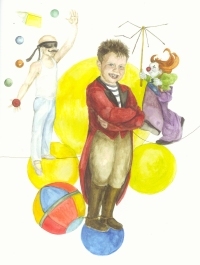 They help to enhance the imagination and bring the story to life. The carefully selected words, with their rhyming text, are likely to stretch the vocabularies of young readers. Lisa Case is an elementary/jr. high school librarian from Calgary, AB.